Centrally located between Gainesville and Jacksonville, The University of Florida Shands Teaching Hospital and the Gainesville VA Hospital are just 15 miles away, and the Mayo clinic is just a 1-hour drive. We are very excited to bring back music events such as Bluegrass and Gospel Music festivals. Many activities and amenities will be added to enhance your camping experience. Our goal is to provide an area where you can decide to join activities, to socialize, or just find a spot to relax and unwind. 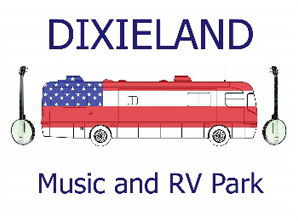 Here at Dixieland your overall experience is important to us. We appreciate your business and would like to see you back year after year. 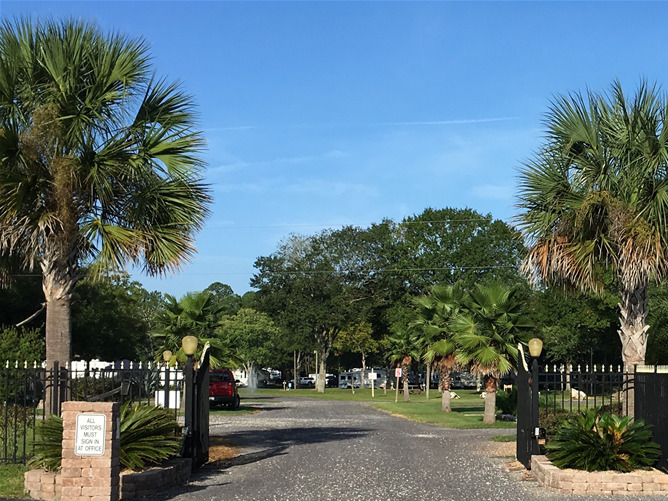 With over 150 SITES and 28 acres on U.S. Hwy 301 in Waldo, Florida, our campground is the ideal place to stay, for a day, a week or a season.If your preference is "Wide open Skies" or the "Shade of large trees" there's a spot for you. We have many Big Rig sites and lots of "pull-thru's" so you don't need to unhook the "toad". Being centrally located between Gainesville and Jacksonville, Dixieland Music and RV Park gives you the pleasure of a small town with convenience of nearby shopping malls, major attractions, and the Atlantic or Gulf beaches. The University of Florida Shands Teaching Hospital and the Gainesville VA Hospital are just 15 miles away, and the Mayo clinic is just a 1-hour drive. Come enjoy the many natural Springs in North Central Florida. Silver Springs National forest and park, Blue Spring recreation park, and several more in the Suwanee River area will satisfy your swimming needs keeping you refreshed and relaxed. Not to mention canoeing, tubing, or Kayaking! Daily, weekly, monthly rates available. Located on Swimming Penn Creek near St. Johns River. We offer, full hookups, 30/50 amp service, showers, laundry, boat ramp, fishing tackle, fuel and boat rentals. Leashed pets are always welcome. Renowned fish camp, seafood restaurant and tiki bar located on the property with entertainment Wednesday through Sunday. Credit cards accepted.